Notice the Pyramid with the eye in the center. The Pyramid sits nicely inside a circle. The base of a Pyramid is a square thus you have the ancient idea of Squaring the Circle. 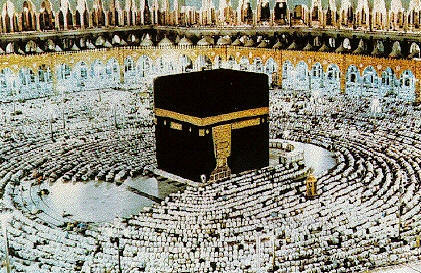 This is also symbolic of Mankind bringing Order (Square) to the World (Circle). Straight lines and Curved lines also make up the rest of the building. Some say it means the Straight line of Justice, and the curve line of Mercy, But I am more for the idea that the straight lines mean the order or the (Order of Freemen, Freemasons) and the curve is the chaos or the un-tamed world. Walking into the largest courtyard of the Supreme Court Building one fines themselves walking down white stairs. The stairs are an Inverted cross and is the only religious symbol that man walks on. In the Library is three tiers. The first floor is for Lawyers, Second is for Sitting Judges, Third is for Retired Judges. Directly above the Library is where the Pyramid within the Circle sits. This is also reminiscent of the way secret societies work. Lower Levels always working to achieve the higher level until you are close to the Illuminated Eye at the top that will enlighten you. Here you can see the Lay Lines the buildings are on. Supreme Court Building sharing a line with the Knesset. As you enter the Library you see the lay line travel under the pyramid. Looking up and out the window you see the Pyramid and the ever seeing eye of "God" staring down at you. Traveling out of the main courtroom Judges face stairs with the symbol of fertility embedded within it. 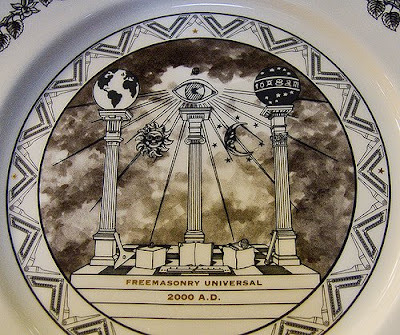 The freemasonic Idea is not only rooted in Jewish and Catholic symbols but also Muslims. Here again is the symbol of the squaring of the circle. All religions have been ushered along by the same black hand throughout the ages. 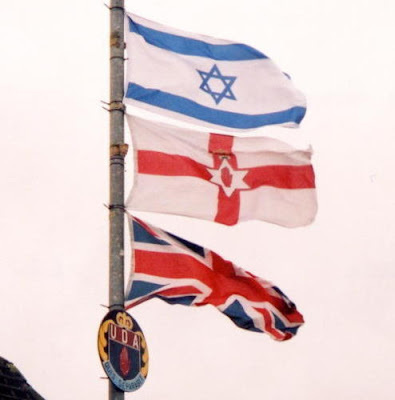 This way when the time is right to unify all religions under one it won't be that difficult. This is also why Freemasons consider Freemasonry the Religion of all Religions. Freemasonry has infiltrated all governments world wide. They are following a plan of total destruction of the old way and ushering a new way. Reminiscent of the Phoenix Rising from the ashes. They are doing it scientifically and incrementally so that the people do not become to aware and rebellious. In closing I leave you with this. Who is the God they trust really? The Masonic Square and Compass symbol is a transparent Judaic hexagram minus two lines which transmits the gnosis that Masons are "imperfect Jews." A. One of the elect. A. 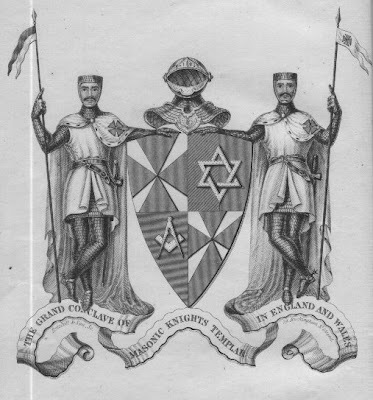 The house of Israel. A. 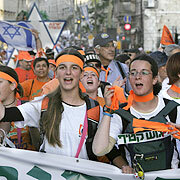 The tribe of Levi. 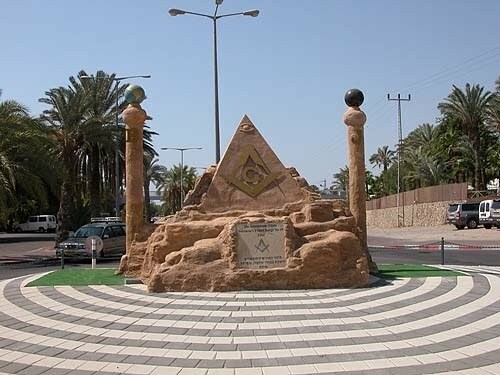 Upon entering Israel from Egypt this would be the first thing you would see. 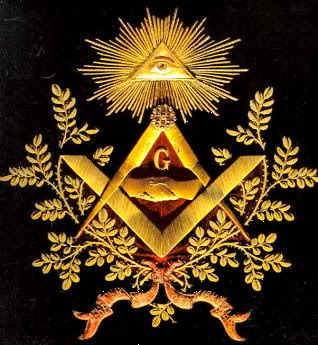 Who is the "God" of Freemasonry? The Divine Architect, The Creator of the Universe. BTW, the Orange Order is NOT a masonic order. They are an order which uses some of the same symbols and have their own seperate rituals and makes use of a similar "look" to encourage membership. I know of some Freemasons who are in the Orange order and they don't confuse the two. Perhaps when you break up words like that to attempt to make a point you should really try using Hebrew rather than English. Ra was a Egyptian sun god. The word El was found at the top of a list of gods as the Ancient of gods or the Father of all gods, in the ruins of the royal archive of the Ebla civilization, in the archaeological site of Tell Mardikh in Syria dated to 2300 BC. Well, duh! yes, I understood what you meant. I just believe that it is an inaccurate way to analyze a word. You're ripping it apart to various parts which may or may not refer to the cultural issues you site. This FREQUENTLY gives "false positives" in this regard. It would be preferable to analyze a word in its entirety in its OWN cultural framework. Otherwise you're merely pulling at a coincidental meaning which YOU may read there but which was NOT put there by those peoples who originally formulated the word. Words are everything. In ancient Egypt words were power, just uttering a word gave power or took it away. Spells are still in existence almost to a "T" the way egyptians did it 2000+ years ago. Repetitive words induce trance states and effect peoples awareness to the super-natural. Like the Rosary, Hail Marys, Latin incantations followed by the Amen from the cult of Amen-Ra. Or the way Muslims induce trances from reading of the Koran. Native Americans induce trances from Fasting from eating ,heavy dances around fire, chants and songs. Hindu, Budda worship and just about every religion on Earth has some form of Magical words within a ceremony. Nothing is coincidental. Every thing, Every word has a purpose and a meaning. Remember (His)story is not your own. Sorry dude! Sometimes a cigar is JUST a cigar!